Pillar is a Boston-based venture capital firm focused on early-stage investing in machine intelligence. 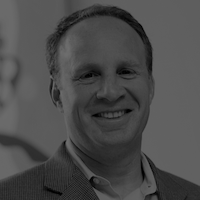 Founded by Jamie Goldstein, Pillar aligns with entrepreneurs by providing access to critical resources companies need to scale, including enterprise relationships, team development, and leadership workshops. For more information, visit www.pillar.vc. The Computer Science and Artificial Intelligence Laboratory – known as CSAIL ­– is the largest research laboratory at MIT and one of the world’s most important centers of information technology research. The Lab’s researchers have been key movers in developments like time-sharing, massively parallel computers, public key encryption, the mass commercialization of robots, and much of the technology underlying the ARPANet, Internet and the World Wide Web. With 1000 members and more than 100 principal investigators coming from eight departments, CSAIL includes approximately 50 research groups organized into three focus areas: artificial intelligence, systems and theory. For more information, visit https://www.csail.mit.edu/. 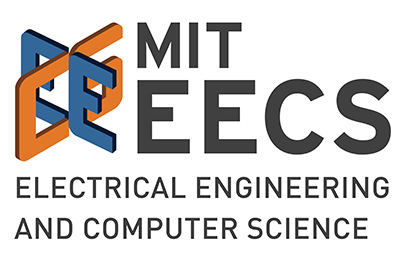 The Electrical Engineering and Computer Science Department is the largest department at MIT, preparing over 300 graduate and undergraduate students each year to become leaders in diverse career fields such as academia, biomedical technology, finance, consulting, law, nanotechnology and more. MIT EECS consistently ranks top by the U.S. News and World Reports and is known globally for its world class faculty creating the best possible education, which is based on their innovative and award winning research. EECS' nearly 130 faculty find their research homes in four major affiliate labs: the Computer Science and Artificial Intelligence Laboratory (CSAIL), the Laboratory for Information and Decision Systems (LIDS), the Microsystems Technology Laboratories (MTL) and the Research Laboratory of Electronics (RLE). For more information, visit https://www.eecs.mit.edu/. The mission of IDSS is to advance education and research in state-of-the-art, analytical methods in information and decision systems; statistics and data science; and the social sciences, and to apply these methods to address complex societal challenges in a diverse set of areas such as finance, energy systems, urbanization, social networks, and health. Technology advances, in areas such as smart sensors, big data, communications, computing, and social networking, are rapidly scaling the size and complexity of interconnected systems and networks, and at the same time are generating masses of data that can lead to new insights and understanding. Research at IDSS will aim to understand and analyze data from across these systems, which present unique and substantial challenges due to scale, complexity, and the difficulties of extracting clear, actionable insights. For more information, visit https://idss.mit.edu/.